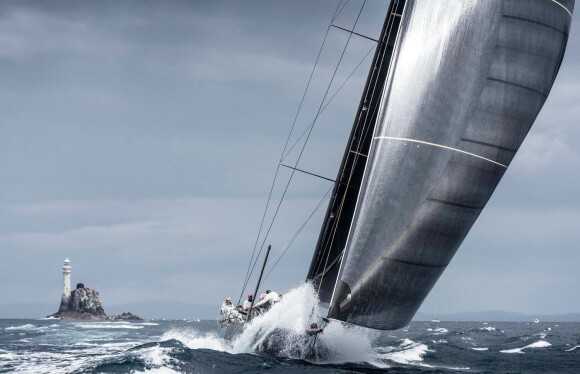 On the heels of delivering many of the world’s largest sails out of their revolutionary Stratis membrane technology, including the highly-loaded mainsails on Sailing Yacht A, Doyle has introduced another groundbreaking product to bring higher strength and lower weight to the racing market. The Doyle team have launched a product known as the Cable-less Code Zero sail in which an uninterrupted lens of uni-directional fibers designed in the luff of the sail takes the load from the tack all the way to the head. This advancement will give the ability to ease the tack up effortlessly and get more luff projection for deeper angles, giving the sails constructed with this method more range, lighter weight and less total cost. Part of this stems from eliminating the often heavy and expensive torsion ropes that have become prerequisites to successful deployment of standard Code Zero’s. 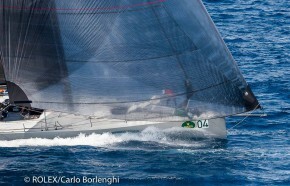 On the heels of delivering many of the world’s largest sails out of th eir revolutionary Stratis membrane technology, including the highly-loaded mainsails on Sailing Yacht A, Doyle has introduced another groundbreaking product to bring higher strength and lower weight to the racing market. The Doyle team have launched a product known as the Cable-less Code Zero sail in which an uninterrupted lens of uni-directional fibers designed in the luff of the sail takes the load from the tack all the way to the head. This advancement will give the ability to ease the tack up effortlessly and get more luff projection for deeper angles, giving the sails constructed with this method more range, lighter weight and less total cost. Part of this stems from eliminating the often heavy and expensive torsion ropes that have become prerequisites to successful deployment of standard Code Zero’s. 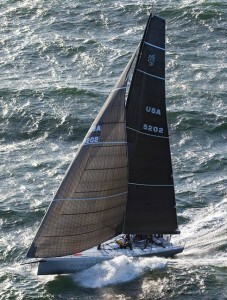 Given Doyle’s past experience in engineering sails that are able to save weight and handle enormous loads, the Cable-less Code Zero is a perfect extension of their resources to deliver an easy to handle, light weight product that has application for both grand-prix racing programs and cruisers alike where a versatile sail with a wide range will enable more time spent sailing. 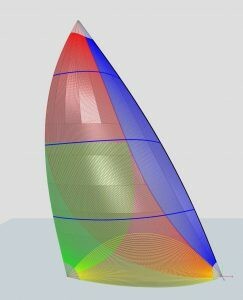 The combination of Doyle’s extensive design and engineering team with the unique ability in the Stratis production process to run long, uninterrupted Carbon fibers has ushered in the latest groundbreaking improvement to offwind sailing.